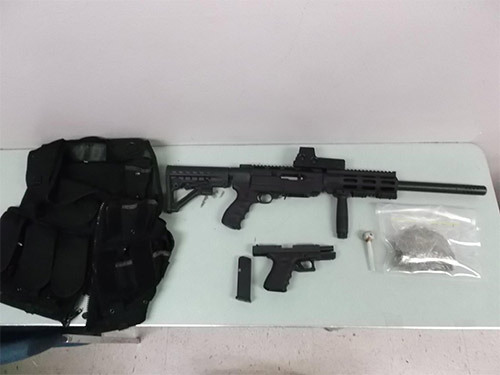 FRESNO, Calif. -- A traffic stop in Fresno resulted in the arrest of a documented gang member on probation, who police say turned out to have firearms, tactical gear and drugs in his house. Fresno police said 33-year-old Khamprasong Thammavong was pulled over around 5:40 p.m. Monday in a traffic stop. When the officer learned that Thammavong was a reputed gang member and on probation, he requested assistance from the Southeast Violent Crime Impact Team. Members from the SV CIT team conducted research on Thammavong's background and found the address of his home, which police said is open to search and seizure. Officials conducted a probation search and found a semi-automatic rifle and a semi-automatic handgun, which were not registered to Thammavong. Firearms were found in 33-year-old Khamprasong Thammavong's home in Fresno following a probation search. They also found tactical gear similar to law enforcement equipment, numerous items linking him with gang activity, 38 marijuana plants and narcotics paraphernalia. Police said Thammavong did not have a license to possess or grow marijuana in the state of California. The case is being investigated by narcotics detectives. Thammavong was arrested for numerous felony charges, including felon in possession of a firearm and cultivation of marijuana. 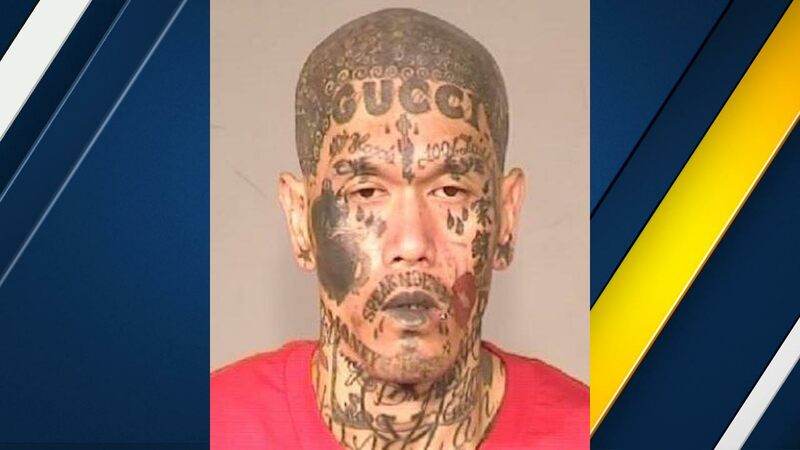 He was booked into Fresno County Jail.